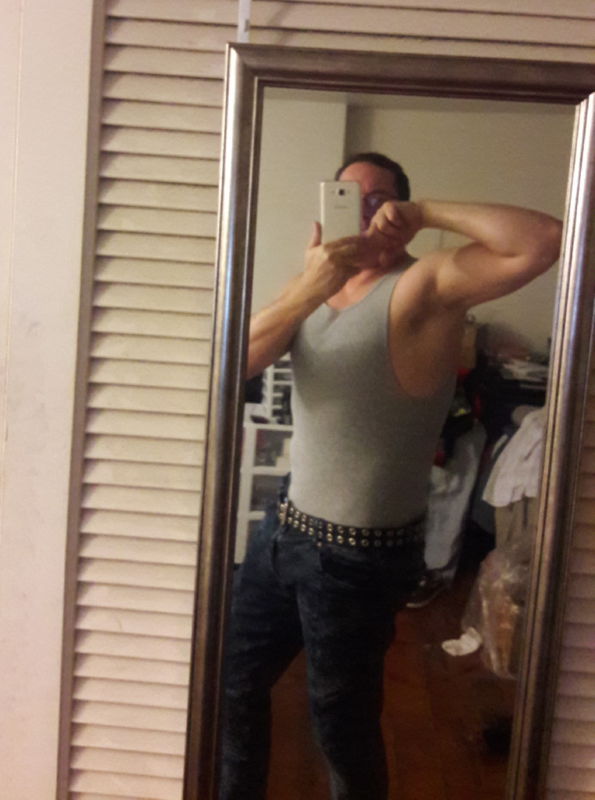 Posted on November 23, 2018 November 24, 2018 by Tom G.
Back in May I set out to get back in shape by eating better and being more active. 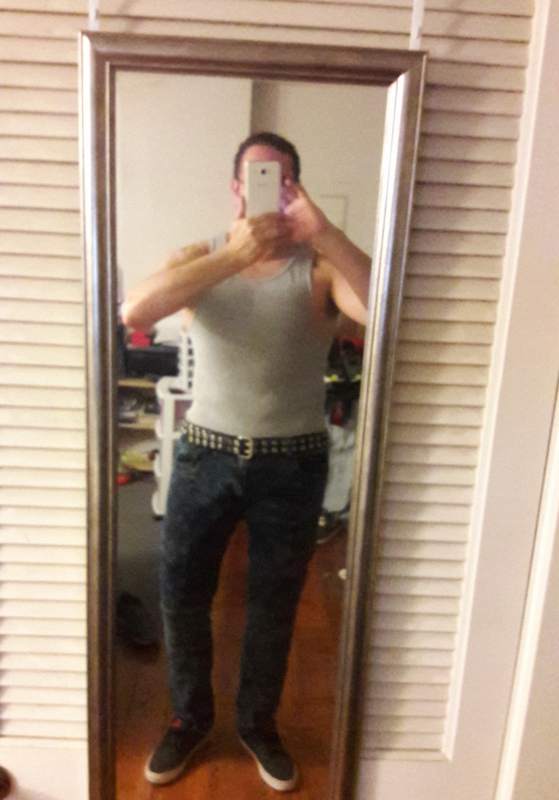 I started out at size 42 waist and 245lbs and now, Nov 23rd I am size a 36w and 205 lbs. I beat my goal by 5 lbs! I felt my age and it did not feel so good. I could barely make it up the steps to my 3rd fl apt! I was in sad shape…lol Most of the lost weight was from dancing at home alone or out somewhere where no one knows me…lol! Now I feel like I am mid 30s again. I am set for the next 10 years I hope. I am done with the diet thing and throwing away my scale. I know how to eat and exercise so I should not need to as attentive to the fitness and weight loss anymore. I dont like to post photos of myself but I guess Ill put these 3 here to show the after. 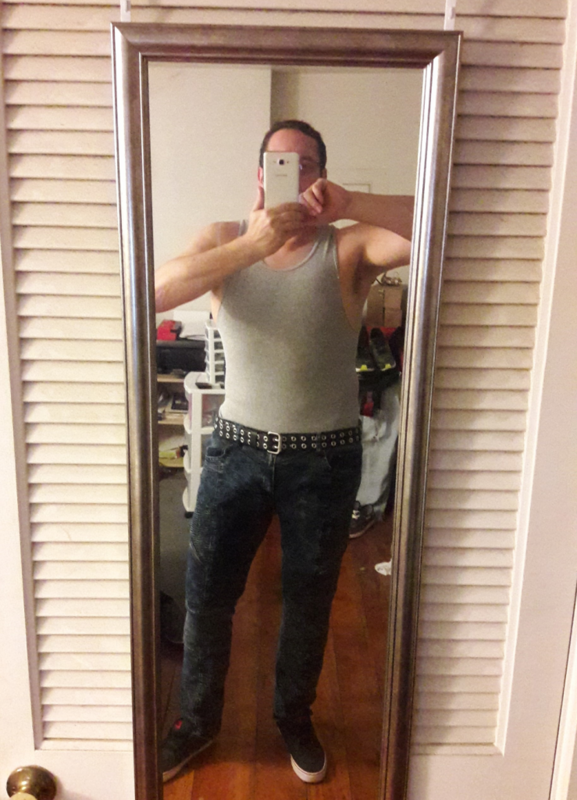 I am looking for a before photo but I am not one to be in photos so it may be not possible…lol Don’t mind my messy room I was getting stuff together for donation. Previous Previous post: Is FaceBook Down today? Next Next post: So This Is Why I’m Afraid Of Love?